The article below written by Washington Post columnist Michael Gerson appeared in Plain Dealer a few days ago. I particularly like the article because I like history (those who forget it – repeat it!) and because Advent is my most favorite liturgical season. Advent is about hope and hope is what the LEAF Ministry is all about! The current ferment of American politics has brought comparisons to Europe in the 1930s, with echoes of leaders who stoke anger against outsiders and promise a return to greatness through the application of a strongman’s will. The analogy is hardly exact. Lacking the economic chaos and fragile institutions of Weimar Germany, the United States has fewer footholds for fascism. But the reaction to fascist darkness in the 1930s produced a figure, a bright light, who should guide us. Dietrich Bonhoeffer was a German theologian who resisted the Nazis and the influence of Nazism in his own church. He spoke out on behalf of German Jews, was implicated in a plot against Adolf Hitler’s life, was imprisoned, wrote and ministered for years from confinement, then was led naked to the execution ground and hanged with a noose of piano wire, just weeks before the end of World War II. 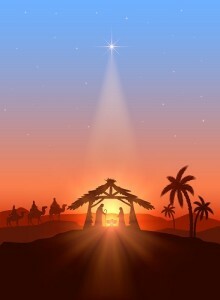 This, despite all our fears and doubts, is Christmas: a God secretly revealed as love. If you are not familiar with Dietrich Bonhoeffer, one of my favorite reads is “Bonhoeffer: Pastor, Martyr, Prophet, Spy” by Eric Metaxas. It’s an easy to digest book that does a nice job intertwining the politics of the time with the spiritual growth of a great person.